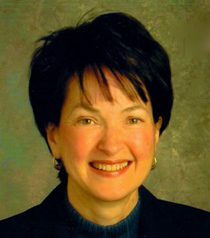 In 2009, the UAA Governing Board established a new permanent award that celebrates the distinguished service and leadership of Mary Helen Callahan, Executive Director of UAA from 1980 until 2000. In 2010, Ms. Callahan became the first recipient of the award during the 40th Annual Meeting of the UAA held in Honolulu. As the first recipient, Ms. Callahan personified the purpose of the award. As administrative assistant (from 1975-1980) to the board chair of what was then the Council of University Institutes for Urban Affairs (later renamed the Urban Affairs Association), she played a central role in establishing the early operational infrastructure and board support that launched a new national professional organization. She was instrumental in building the core activities of the organization from its annual conference to the now well-respected Journal of Urban Affairs. As the guiding hand in UAA’s development for more than two decades, Ms. Callahan epitomizes the commitment and service to the field of urban affairs that this award seeks to honor. The award will be given on a periodic basis to an individual who has provided an outstanding record of service to UAA and/or the field of urban affairs.